How do I choose a quality provider of a VET Diploma in WHS? Please see the Future Students section. I have a Bachelor degree in Science and I would like to move into OHS. Should I study a Diploma in WHS or take on a university qualification? A Diploma will qualify you to work as an OHS Practitioner. With a previous degree you are qualified for entry to a Graduate Diploma or Masters program. With employers increasingly looking to professional qualifications, particularly Masters you should optimise your position by building on your previous qualification to take on post graduate study. I am thinking of studying a Graduate Certificate in OHS rather than taking on the full Graduate Diploma. Is this a good idea as it will help me decide if OHS is for me? A Graduate Certificate is a good introduction and is usually studied as a stand-alone qualification by people who mix OHS with other functions such as HR. As a stand-alone qualification, a Graduate Certificate is only 6 months equivalent full time. For this reason, a Graduate Certificate is not accredited as a separate qualification and does not meet the requirements for OHS professional certification. However, when people commence study by enrolling in a Graduate Certificate and then go on to complete a Graduate Diploma the final qualification is recognised for certification. Where do I find a list of accredited qualifications? How do I know which university to choose? 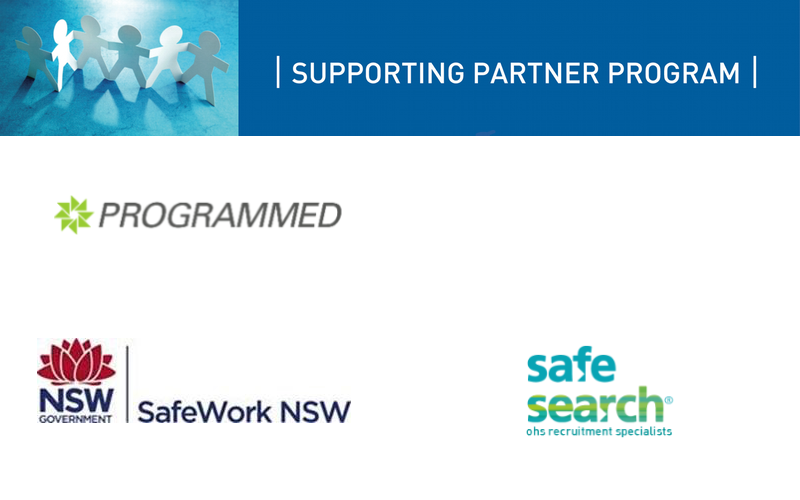 While each accredited program has a core content of OHS, the programs provided by each university are each a little different to others. These differences are due to varying approaches to OHS, a stated content emphasis and the areas of expertise of the staff. This suits the Australian context where generalist OHS professionals are required across a range of industries and types of organisations. When choosing a university check out professional education in the Future students section. What if my qualification is not accredited? If you have completed your studies after 2016 and your qualification is not accredited with the Australian OHS Education Accreditation Board at the time of completion you may have to submit additional information about the content of your qualification and your assessments when seeking certification. If you completed your studies prior to the end of 2016 and your qualification was not accredited at the time of completion your qualification will be assessed on an individual basis at the time of applying for certification. Why is my Advanced Diploma of Government (OHS) not recognised for certification as an OHS Practitioner? The Australian OHS Education Accreditation Board conducts assessment of international qualifications submitted as part of application for certification made to the Safety Institute of Australia. Some of the questions and the answers below relate to recognition of qualifications for the purpose of professional certification. See https://sia.org.au/certification for information on certification. Is the NEBOSH Diploma recognised in Australia? The NEBOSH Diploma does not have formal recognition in Australia but the Australian OHS Education Accreditation Board has mapped the NEBOSH Diploma at equivalent to or slightly above the Australian Advanced Diploma in OHS/WHS. Should you require formal recognition of your NEBOSH Diploma you could enrol with an Australian training organisation that provides a NEBOSH to Australian qualification bridging program (IFAP is one.) or you could seek an Recognition of Prior Learning (RPL) assessment from an Australian provider of the Diploma or Advanced Diploma in WHS however this is not required to gain work in Australia. A NEBOSH Diploma meets the qualification requirements for certification as an OHS Practitioner. Should you also have IOSH Chartered membership or a university level qualification in another discipline you would be eligible to do the Alternative Knowledge Assessment plus the Australian OHS law examination which would then meet the knowledge requirements to apply for certification as an OHS professional. Is the NEBOSH General Certificate and other NEBOSH qualification recognised in Australia? NEBOSH General Certificate is assessed as being at or slight above an Australian Certificate IV in WHS. This considered the first step in developing in safety and few employers are accepting it as suitable for full time employment in an OHS role with the preference being for Diploma in OHS/WHS as a base requirement for practitioner status. There is also an increasing trend for university-level qualifications for professional roles. Holders of the NEBOSH Certificate requiring an Australian recognised OHS qualification should seek an RPL (Recognition of Prior Learning) with a registered provider of Certificate IV in WHS. Typically formal attainment of the Australian Certificate IV in OHS requires some further study to address specific areas. IFAP http://www.ifap.asn.au/ is one RTO that has developed a formal bridging course for the NEBOSH Certificate to the Australian Certificate IV in OHS. Once attaining equivalence to an Australian Certificate IV in OHS the next progression in OHS would be a Diploma in WHS which together with the required experience and demonstrated competence would qualify the holder for certification as an OHS practitioner. Do I need a VETASSESS review of my international qualification to apply for certification or to work in Australia? VETASSESS is currently the Australian qualification assessing authority for OHS professional qualifications. VETASSESS only evaluates whether your qualification is equivalent to an Australian Bachelor, Graduate Diploma or Masters qualification. VETASSESS does not assess non university level qualifications for OHS nor does it evaluate the OHS content or quality of that content. A VETASSESS is required for migration purposes and there are a number of providers of the assessment. I am a Certified Safety Professional with the US Board of Certified Safety Professionals. Is this recognized as a qualification for certification in Australia? There is currently no mutual recognition or reciprocity between the Safety Institute of Australia and US Board of Certified Safety Professionals. Each applicant for Australian certification holding a CSP designation will be assessed based on their qualifications and their CSP designation. Taking account of the eligibility requirements for the CSP examination and the scope and approach of the examination the CSP designation meets the qualification requirements for certification at the COHSProf category where the CSP holds at least a bachelor degree in OHS or another discipline. Should the CSP seek certification at the ChOHSP category they would require a masters degree in OHS or another discipline or a doctoral qualification.